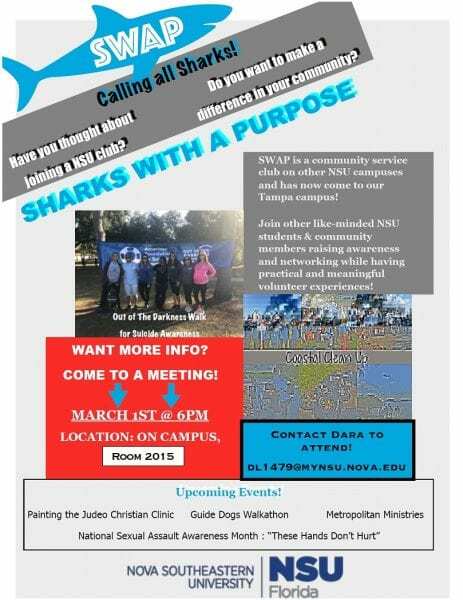 Have you thought about joining a NSU club? Do you want to make a difference in your community? SWAP is a community service club on other NSU campuses and has now come to our Tampa campus! 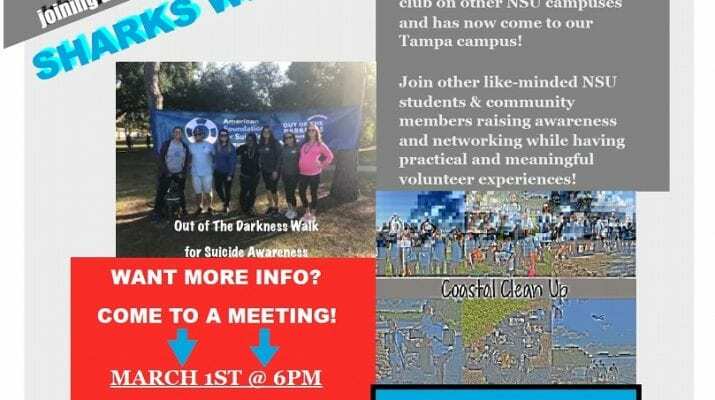 Join other like-minded NSU students and community members raising awareness and networking while having a practical and meaningful volunteer experience! Does your heart skip a beat when thinking about helping others? Find out how you can gain a competitive advantage in your career, your community, and your life. Take part in an interactive discussion on what it is really like to work in the exciting, heart racing, and challenging, yet rewarding, profession of cardiovascular sonography with a real sonographer. Need some one-on-one advice or support from a Librarian? 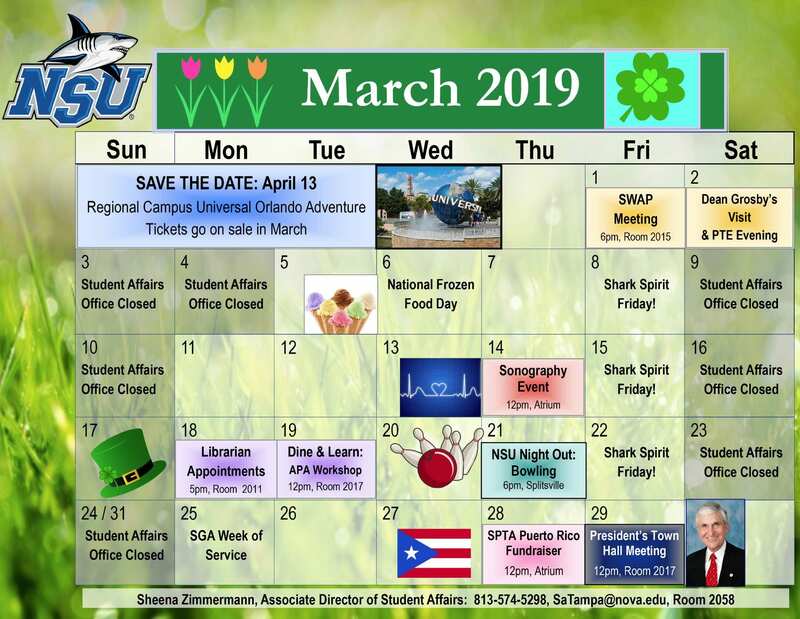 Sarena Hicks, Reference/Outreach Librarian, Alvin Sherman Library will be in Tampa to help you with research, resources, and more! E-mail SaTampa@nova.edu to arrange an appointment anytime between 5pm – 8pm, or simply stop by Room 2011. 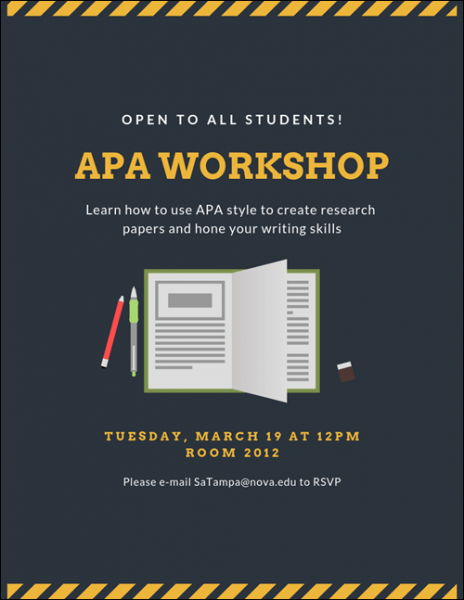 Need help with your APA Style or needing some research tips? Food buffet including Macho nachos, chicken tenders, short rib flatbread, and southern house salad. 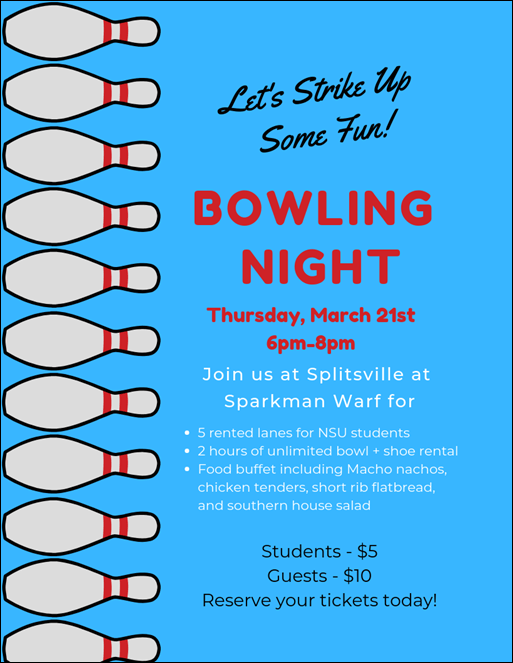 Come support the Physical Therapy program as they prepare for their upcoming Puerto Rico mission trip. NSU’s President, Dr. George L. Hanbury II will be coming to the NSU Tampa Bay Regional Campus to meet with YOU! Please visit this website for more information, and/or to submit a question in advance: President’s Town Hall Meeting.